ri Lanka joins the world community today in marking the International Day of People with Disabilities, with the theme being ‘Inclusion matters: Access and empowerment for people of all abilities.’ The United Nations in a statement to mark the event reveals that an estimated one billion people living with disabilities worldwide face many barriers to inclusion in many key aspects of society. As a result, people with disabilities do not enjoy access to society on an equal basis with others. These include vital areas of transportation, employment, education, social and political participation. The UN says the rights for disabled or differently abled people to participate in public life is essential to create stable democracies, active citizenship and reduce inequalities in society. By promoting empowerment, real opportunities for people are created. This enhances their own capacities and supports them in setting their own priorities. Empowerment involves investing in people - in jobs, health, nutrition, education, and social protection. When people are empowered they are better prepared to take advantage of opportunities, they become agents of change and can more readily embrace their civic responsibilities. The 2015 sub-themes are making cities inclusive and accessible for all, improving disability data and statistics and including people with invisible disabilities in society and development. Building a sustainable, inclusive world for all requires the full engagement of people of all abilities.The 2030 Agenda includes many issues of concern to people with disabilities and the world must work together to transform these commitments into action. 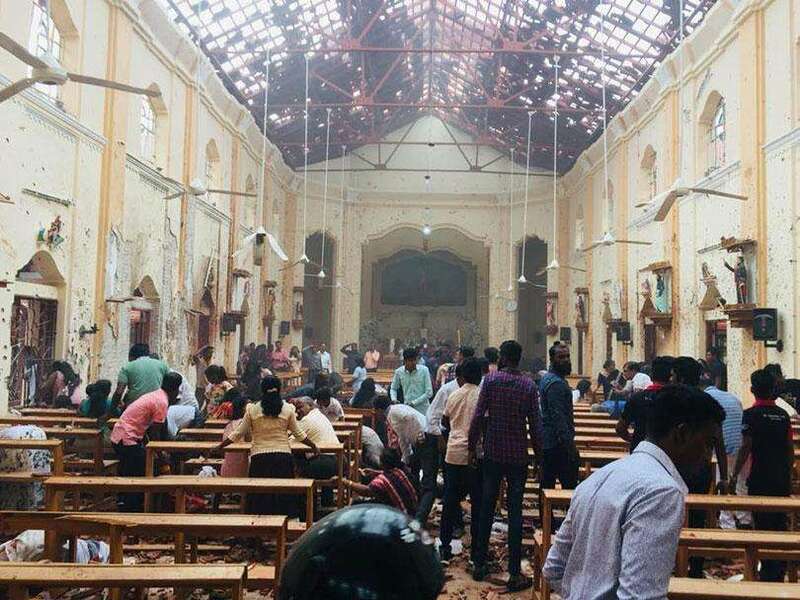 In terms of walking the talk, opening the invisible prison doors and setting the captives free, what is the reality in Sri Lanka? While we hope that the National Unity Government will address structural and attitudinal issues relating to differently-abled people we also need to be aware of some crippling realities. 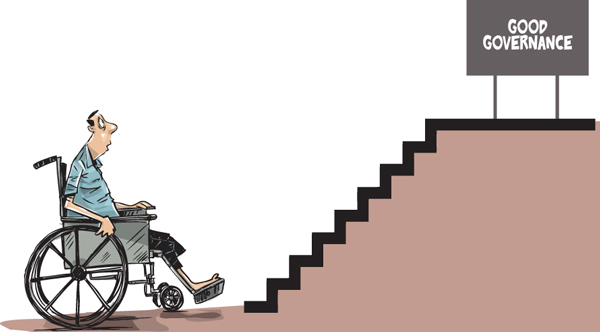 Dr. Ajith C. S. Perera himself on a wheelchair but a crusader for disabled people, has appealed to political leaders and decision makers not to ‘dis’ the ability of the largest minority. In an article published on page 12 of today’s Daily Mirror, he says some 20 per cent of Sri Lanka’s people are disabled or differently-abled but they experience marginalisation or denial of rights in vital areas such as education and healthcare, employment and important day-to-day activities such as banking or the use of automated teller machines (ATM). Warning that differently-abled people face a threat to their personal safety in such areas and others, Dr. Perera says the root causes include the non-compliance with laws, regulations and Supreme Court orders concerning accessibility for differently-abled people at public buildings. Laws enacted in 2006 and a Supreme Court Order in April 2009 have enshrined the principle of equality and accessibility for differently-abled people. Dr. Perera asks how many private hospitals, charging colossal sums, accommodate wheelchair access to washrooms in newly built wards. He also asks how many newer and affluent higher education institutions, afford equal rights and opportunities to children using wheelchairs. With pictorial evidence he points out the shameful negligence where even Sethsiripaya, the building that sites the Social Services Ministry, has no safety railing on its staircase at the entrance. In an eye opening conclusion, Dr. Perera quotes Dr. Lee Jonk-wook, former Director General of the World Health Organisation, as saying the way a country treats its ‘ability restricted’ population and the true extent to which they are respected as fully-fledged citizens is a realistic internationally recognized measure of a country’s good governance, reflects its Human Rights image and a far more telling indicator and a sure test of society’s development than GDP.